After its ‘crowning’ with the imperial double eagle, the North Tower also becomes known as the ‘Eagle Tower’ and is 68.3 metres high. An old legend about the master builder Hans Puchsbaum attempts to explain why the tower was never completed. As is often the case, the devil is said to have had his hand in it. A lift takes you to the plateau of the North Tower at a height of about 50 metres. Enjoy the view over Vienna. 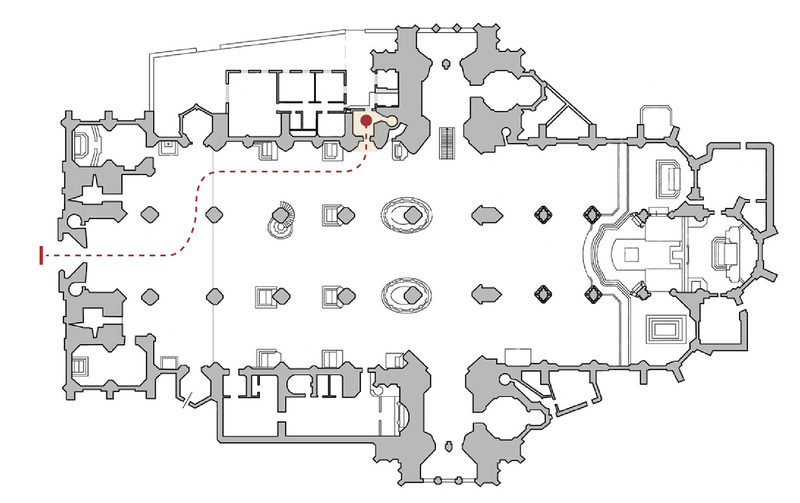 The red dot indicates access to the lift, that takes you to the plateau of the North Tower. Enjoy the ride.